This Monday morning sent the CrossFit world into an absolute tizzy, with some of the biggest news we had seen in a while. The GOAT returns. 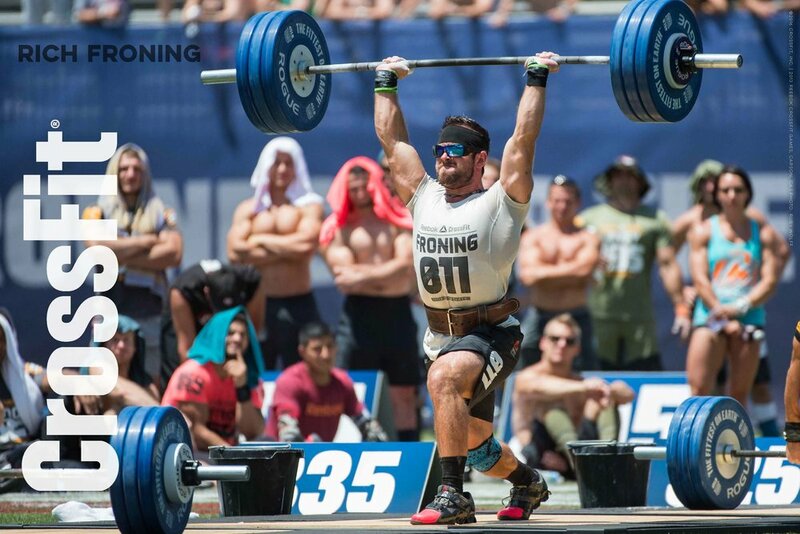 As Jordan returned from baseball, so was Rich Froning Jr returning from team competition to participate in the 2019 Games as an individual. Securing an auto bid with an 11th place finish in the world wide open, Froning took to Instagram Monday to announce his triumphant return to stop Mat Fraser from tying his record 4 straight CrossFit Games victories. Froning additionally attached an exclusive article with The Morning Chalk Up to share more details of his decision to return. CrossFit fans all over the world went NUTTY. The posts and articles spread like wildfire. My own wife woke me up just to share the news, and my sister called not long after to gab about the throwdown of the century between the two fittest men in history. But alas, April f***in’ fools people. There’s such a thing as a good April fools joke I suppose, although I don’t really care for the past time. In high school our track coach would always trick our team into thinking we were getting punished with tons of physical pain, he would get us every year without fail and then call out April Fools right when we were about to begin the bear crawls and burpees. But the fun there was seeing us all in a state of sadness and worry, just to lift our spirits and make us laugh. Froning and the Chalk Up did the opposite. They conspired to make us think we were getting the one biggest thing we have all prayed for since 2014. The best vs the best. We as a fanhood were elated, the public outcry so positive, just to squash us like a bug. Perhaps the response can actually convince Froning to come back, maybe he will give us what we all want. But I doubt it, and it hurts man. For anyone who is a fan of The Office, this feeling has to be synonymous only to the pure elation Michael Scott felt when he thought Holly was finally a single woman, only to realize she was still with her far inferior boyfriend. As Michael Scott so elegantly said, “I am dead inside”.